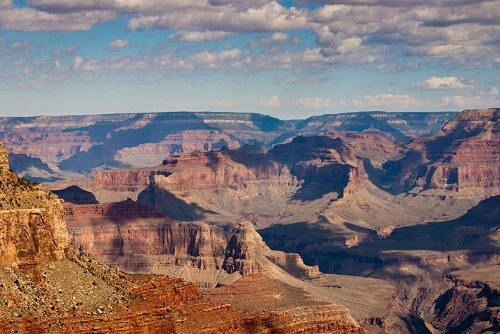 The second most-visited national park, Grand Canyon National Park in Arizona drew 4,421,352 in 2012. Considered one of the foremost natural wonders of the world, the park is the result of millions of years of wear by the Colorado River. Grand Canyon National Park was preserved by then-President Theodore Roosevelt in 1908, and was established as a national park in 1919. The best time to visit the park is between May and October. After mid-October, roads are often closed by snow. The South Rim is more heavily visited, largely because it is more accessible by foot.